Cassander, (or Noonbory as we like to call him) is the best boar I have had thus far. Noonbory is the son of TGRE Andrew 3 -Cornelius and TRGE Jenny 5 -Darby. His personality is so sweet and he throws beautiful piglets. Noonbory has forever earned a place here at Caney Creek Farm as a great herd sire. 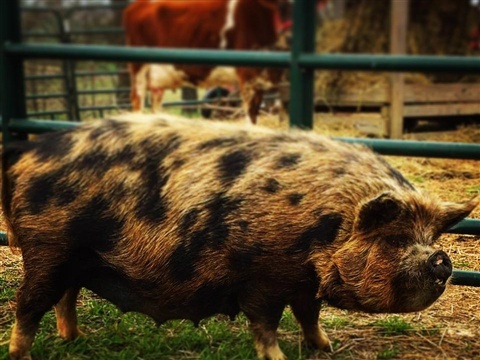 Gala is my original Kunekune Sow. She's the pig that started it all! Gala is the daughter of Old Castle TeWhangi 3 -Pedro and BVF Jenny 1 -Rita. 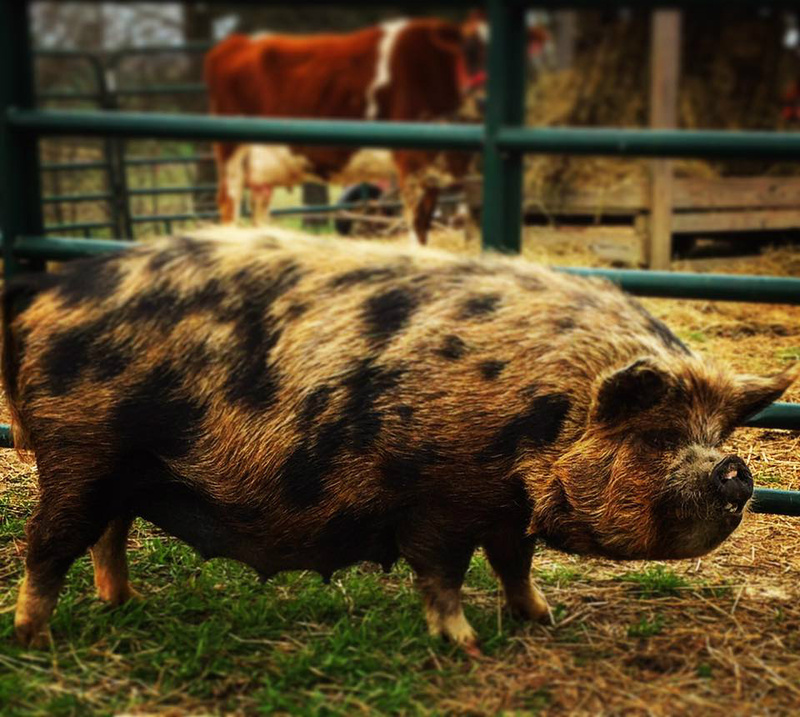 She continues to produce exceptional quality Kunekune pigs! I hope to share many more productive years with this sweetheart.